The ECI ‘Eat ORIGINal! 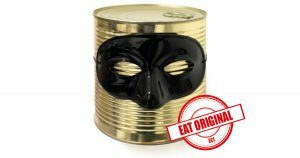 Unmask Your food’ was launched last autumn by the Italian farmers union Coldiretti. It is supported by several international and national organizations including Slow Food. In recent years, a demand for more information regarding the place of origin of food is becoming increasingly important, especially due to increased fraud. In Europe, food frauds are estimated to cause damages worth up to 12 billion Euros per year. If the current labeling regulation were changed, it would prevent falsifications and unfair commercial practices that damage the single market as well as national economies. Mandatory food labeling would also help track the usage of allergenic or even toxic ingredients of unknown origin in various products, used as substitutes for more expensive ingredients. “Only informed citizens can make conscious decisions about their food. Origin labeling is necessary although certainly not sufficient: we demand that labels also give information on production and processing methods to ensure transparency throughout the food chain – as evidenced by this ECI,” said Marta Messa, director of the Slow Food Europe Office, at the press conference for the launch of the ECI. The Commission’s report in 2013 showed that around 90 % of Europeans consider it necessary to indicate the origin of proceed foods and meat, while a Eurobarometer survey conducted the same year revealed that 84 % of EU citizens considered such labeling necessary for milk. In many European countries, origin information is largely absent from labeling for meat, milk, dairy products, unprocessed food, and single-ingredient products such as flour or sugar. Instead, origin must be labeled on honey, olive oil, fresh fruit and vegetables, and fresh or frozen beef, pork, sheep, goat, and poultry meat. European citizens have a right to propose concrete legal changes in any field where the Commission has the power to propose legislation, such as the environment, agriculture, energy, transport or trade. The ECI has to be backed by at least one million EU citizens, and a minimum number of signatories is required from at least 7 Member States for the Commission to decide whether or not to take action.